Under Chevron U.S.A. v. NRDC and its progeny, courts show great deference to administrative agencies’ interpretations of statutes and regulations. 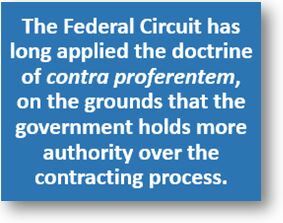 However, it does not necessarily follow that courts will provide that same deference to agencies’ interpretations of government contracts. Last week, in a statement respecting the denial of certiorari in Scenic America, Inc. v. Dept. of Transportation, Supreme Court Justice Neil Gorsuch pointed out this distinction and raised an issue that merits further judicial attention. Chevron holds that as long as an agency presents a “reasonable” interpretation of a statute, a court will typically side with the agency’s interpretation. The Supreme Court has extended the Chevron doctrine to agencies’ interpretations of their own regulations. See, e.g., Auer v. Robbins, 519 U.S. 452 (1997). 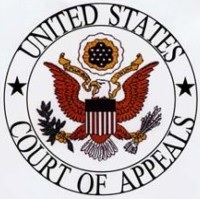 The Supreme Court has also placed important limitations on the Chevron doctrine, refusing to give deference when it is clear that Congress did not intend to delegate such authority to the agency. See, e.g., King v. Burwell, 135 S. Ct. 2480 (2015). However, the Supreme Court has never considered the applicability of Chevron to agencies’ interpretation of government contracts. 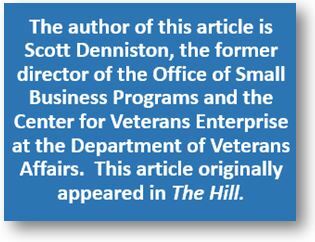 For too long, the U.S. Department of Veterans Affairs (VA) has circumvented a policy known as VETS First, refusing to give preference to veteran-owned small businesses despite being directed to by Congress, the Government Accountability Office (GAO) and the U.S. Supreme Court. This refusal hurts not only veteran-owned small businesses, but the millions of veterans who depend on the VA. 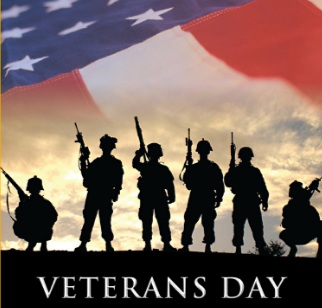 In 2006, Congress passed The Veterans Benefits, Health Care and Information Technology Act, which among other things established the VETS First program. But the VA, under administrations controlled by both parties, never followed through. On several occasions, the GAO has ruled that the VA has failed to follow the law. And still, it does nothing. A major dispute is brewing in the small business community. Just four months after the Supreme Court’s June 16, 2016 unanimous decision on the Kingdomware case, the Small Business Administration (SBA) is taking a stand on the “rule of two” that is stressing out industry and agencies alike. As a quick reminder, the nation’s highest court ruled in the Kingdomware case that the Veterans Affairs Department (VA) must continue to apply the “rule of two” for veteran-owned small businesses even if the agency surpassed its annual prime contracting goal. The “rule of two” states if an agency can find two or more qualified small businesses during market research of a contract under the Simplified Acquisition Threshold (SAT) — between $3,500 and $150,000 — it must set aside the solicitation. Now the SBA is expanding that Supreme Court ruling to apply to all task and delivery orders under SAT if the request for proposals comes under the General Services Administration’s Schedules. Should veteran-owned enterprises be optimistic as we head into 2017? “Yes, 2017 should be a great year for government contracts for veteran-owned businesses and veteran-owned small businesses (VOBs and VOSBs),” says Matthew Pavelek, vice president of membership at the National Veteran-Owned Business Association (NaVOBA). His organization’s mission is to create opportunities for all of America’s veteran-owned businesses. The association’s members include both VOBs and corporations. Pavelek says the June 2016 U.S. Supreme Court decision in Kingdomware Technologies, Inc. vs. United States was positive news for VOBs. The Supreme Court decided that the U.S. Department of Veterans Affairs must set aside more contracts to be filled by veteran-owned small businesses. The court unanimously decided that the department has not fulfilled its obligation to steer more business to small companies owned by veterans or service-disabled veterans simply by meeting its annual contract targets. The decision, say experts, is likely to assist more VOBs compete for the billions of dollars in contracts that the VA awards. 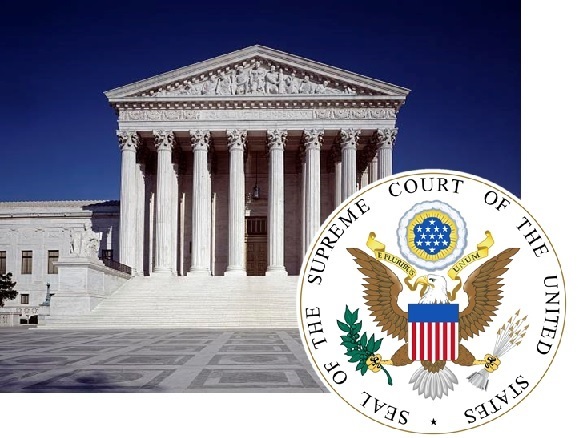 In reaction to the June 16, 2016 U.S. Supreme Court reversal of a lower court decision on the Veteran-Owned Small Business (VOSB) contracting program at the Department of Veterans Affairs (Kingdomware Technologies, Inc. v. United States), the VA has issued guidance to its acquisition team to ensure that procurements for VOSBs and Service-Disabled Veteran-Owned Small Businesses (SDVOSBs) are set-aside whenever a contracting officer has a reasonable expectation, based on market research, that two or more eligible firms are likely to submit competitive offers at a fair and reasonable price. In the past, the VA had not implemented this rule, known as the “Rule of Two,” for orders placed against GSA and VA Schedule contracts. The Supreme Court ruled that no exemption from the Rule of Two exists for such orders. The Court also found that VOSB and SDVOSB set-asides should continue to be made even if and when the VA meets its goals for awards to VOSBs and SDVOSBs. The VA’s Contracting Officers are to include a requirement in all solicitations that for evaluation purposes, only VA verified SDVOSBs or VOSBs in the VA’s VIP database at the time of contract award will be considered for award. Non-VIP verified firms will be considered non-responsive and ineligible for award. VA Contracting Officers are instructed to conduct and review the market research to ensure compliance with the Rule of Two, whether or not an initial decision was made to set-aside the acquisition to SDVOSBs or VOSBs. For VA contracting requirements currently in the solicitation/evaluation phase, a review of the original market research is to be accomplished to confirm whether or not the Rule of Two was appropriately considered and whether offers are likely to be received from two or more qualified, capable and verified SDVOSBs or VOSBs at a fair and reasonable price. If the review results in a finding that there are two or more SDVOSBs or VOSBs, an amendment is to be be issued canceling the solicitation. The failure to disclose noncompliance with material statutory, regulatory, or contractual requirements makes those representations misleading half-truths. This portion of the ruling was not unexpected given the overwhelming acceptance of implied certification among the Circuit courts. But, more importantly, out of concern that the statute be applied too broadly, the Court also explained at length that the “materiality” standard in the statute is a “demanding” one, and set a high bar for the Government and relators to demonstrate materiality of the alleged non-compliance.